On Saturday, October 27th, 93 judo competitors from across Manitoba and Saskatchewan fought in the 2017 Brandon Open Judo shiai, held in Shilo, MB. The tournament took place on World Judo Day. Airton Nakamura of Nakamura Judo Club received the 2017 Silvio Sboto Memorial Award for Excellence in Coaching. Clay Hutchison, one-time sensei at Brandon, was inducted into the Judo Manitoba Hall of Fame in the Builder category. Congratulations to all the athletes, and thanks to all the volunteers and referees who made our tournament a success. This entry was posted in Uncategorized on October 30, 2017 by Patrick. Over 100 competitors took part in the 2015 Brandon Open Judo shiai, or tournament. The shiai took place on Saturday, October 24th, 2015, at École New Era School. Competition began at 11 AM and ran until just after 5 PM. 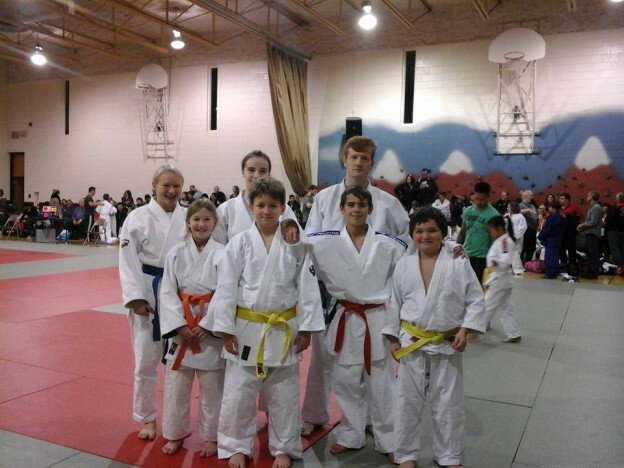 Judoka came to Brandon from all across Manitoba, as well as contingents from Northwestern Ontario and Saskatchewan. Melody Kroeker competed in 2 categories, taking silver in both the Under 18 Women -52/-57kg combined division and the Under 21 -52kg division. Sarah Blaikie took silver in the Under 21 Women -63/-70kg combined division. Neal Hackler took bronze in the Senior Men -66/-73kg combined division. James Liu competed in the Senior Men -81/-90kg combined division. Jonathan Ellis competed in the Under 10 category, and Marita Kroeker & Dreyton Ireland competed in the Under 12 category. The 2015 recipient of the Silvio Sboto Memorial Award for Excellence in Coaching was May Baldo-Oduca of the Inner City Judo Club in Winnipeg, MB. This entry was posted in Uncategorized on October 25, 2015 by Patrick. Sensei Don Eastman’s obituary has appeared on the Brandon Sun website. Dr. Donald Eugene Eastman passed away in his sleep, on Monday, June 30, 2014 at the age of 72 years. He is survived by his children Sylvie Eastman (Ron Laurie) of Kitchener, Ontario, Bert of Winnipeg, Jodie (Christopher) Brooking and their children Richard and Jessica, sister Elaine Eastman of Burlington, Ontario, sister-in-law Wynne Eastman of Waterloo, Ontario, as well as numerous nieces and nephews. Don was predeceased by his parents Clifford and Jane, sister Lois (Jim) Unsworth and brother Phil. Don was a long time professor at Brandon University and a judo instructor. A celebration of Don’s life will be held at the Brockie Donovan Chapel, 332-8th Street, on Thursday, July 10, 2014 at 1:00 p.m. Interment will follow at Rosewood Memorial Gardens. Donations in memory of Don may be made to the Canadian Diabetes Association, Unit A1-800 Rosser Avenue, Brandon, MB, R7A 6N5. Messages of condolence may be placed at www.brockiedonovan.com. This entry was posted in Uncategorized on July 7, 2014 by Patrick. Thanks to all the athletes, coaches, referees, and volunteers that made our shiai a great success. Congratulations to sensei Michael Bergman of the Southwest Judo Club, the recipient of this year’s Silvio Sboto Memorial Award for coaching excellence. This entry was posted in Uncategorized on October 19, 2013 by Patrick.